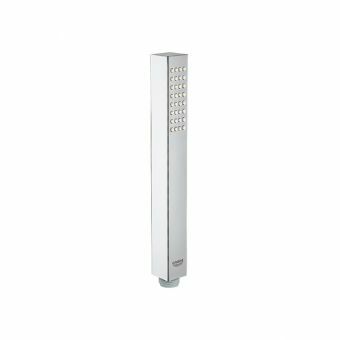 There is currently no branded shower that uses so little water while offering such good shower performance as the Hansgrohe Crometta 85 Green. This means that everyone can practise the sustainable use of water resources, even when under the shower! Combining adaptable flow regulation and central air intake, this clever hand and overhead shower delivers just 6 litres of water per minute while still providing a great shower, and this regardless of the water pressure. 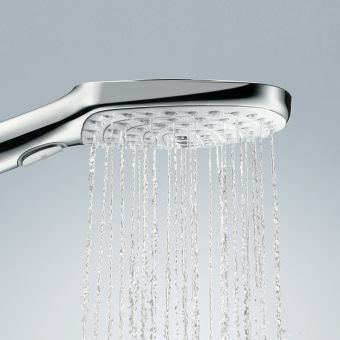 The average flow rate for a conventional shower head at 3 bar pressure is around 16 litres per minute. 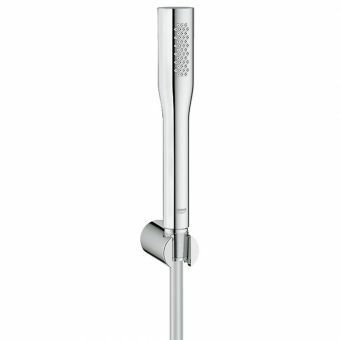 Specifications for Hansgrohe Crometta 85 Green 1 Jet Hand Shower. Water-saving normal spray - flow rate approx. 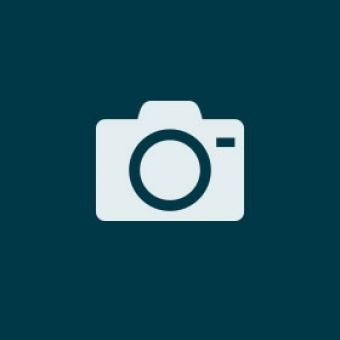 6 l/min. at 3 bar. EcoSmart technology allowing great performance with reduced flow. 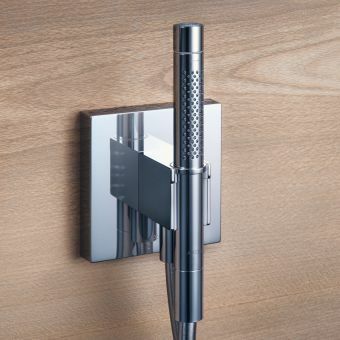 Saves water -the eco handset saves up to 75% water and delivers great performance. 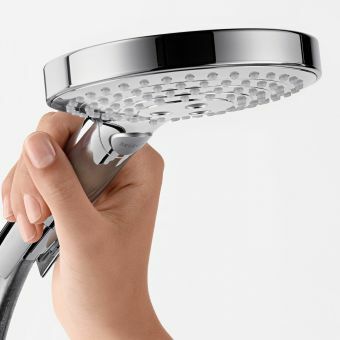 The Crometta 85 Green showerhead pays for itself! QuickClean system for easy removal of limescale. Uses air injection for an invigorating shower. Winner of Enviromental Innovation Product of the year and Water Marque. Uses standard 1/2 inch thread for attaching to your existing flexible shower hose. 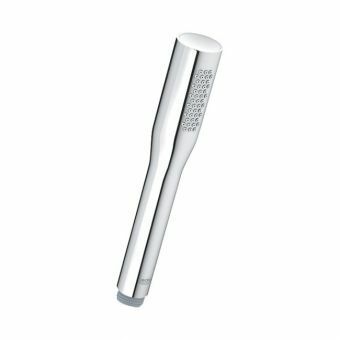 This greenshower head gives you the opportunity to save money and save the environment with its water saving technology while still giving you the opportunity to add a stylish shower handset to your existing shower. With minimal costs and minimal installation it is the perfect partner for any existing household shower and any person wanting to go green. 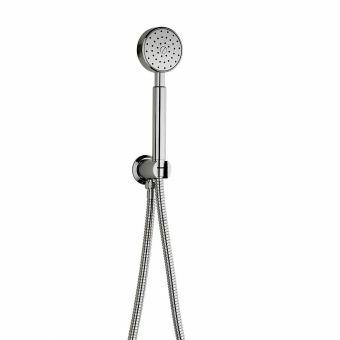 Was looking for one of these shower heads but couldn't the brand in many places, however after having a search on the net found ukbathrooms.com actually stocked this. Been after this item for a while, so happy i've found it. Same item as used by many a hotel i've stayed in over the years. Glad i found it because it is an excellent quality product at a great price too, so i combined the purchase with the other items to match. Hansgrohe isiflex plastic shower hose and the porter'C shower holder to complete the look, very happy with all of the items and my wife likes the finished look too. Result.